Brisbane Band 165 – We are a Top Quality 5 or 6-piece covers band playing hits from the 70s, 80s, 90s, and today – ALL LIVE, no backing tracks. We are dedicated to giving our audience a show to remember and are available in many different guises to suit the needs of the occasion. From Weddings and Parties to Black-Tie Corporate Events with quiet acoustic jazz sets for background / dinner, to a full-on live party band fun experience. 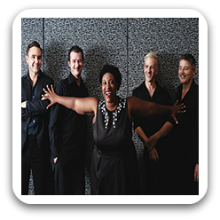 Our amazing and versatile singers can cover an enormous range of styles, and the whole band possesses a flair for captivating the audience with our on-stage antics. What a fantastic night we had with this very talented band. We had them at my Dad’s 50th Birthday party and it is safe to say they had the dance floor filled all night long. Fantastic vocals and band, who didn’t just feel like a band at a party, they actually joined in on the party! They were fantastic to work with and organised the song list and details of the night. Couldn’t speak more highly of their efforts throughout the night. Will have them back at our next party! We hired this 5 piece band for our social club Christmas party on Saturday 29th and we received nothing but positive feedback the following Monday morning. Their repertoire was great and suited all ages. This band is absolutely amazing, they sound like the original artists and really get everyone in the mood to dance. We had a combined 21st/50th/80th birthday bash and they had all the age groups up there boogying the night away. A pity the venue had an 11pm close because we could have kept on going all night. They felt like they were part of the party, joining in and going out of their way to learn a few extra requests. Would HIGHLY recommend them and we will definitely be having another party just so we can enjoy their fantastic music, vocals and sense of fun ! We had these guys play at our wedding this year on the 10/05/15 at Bundaleer Rainforest Gardens. We can not speak highly enough of the band!!!! They were absolutely phenomenal and all our guests were raving about how good the music was too! Excellent list of song choices and they even learnt our song for us for our first dance! Thank you so much – you were so brilliant! Would recommend to anyone for any event as the music they play is very versatile too!!! Definitely hire these guys they are great!!! Thank you so much for your excellent performance at our wedding. We could not have imagined a better band, and all of our guests loved it. There have been ongoing compliments ever since our wedding day from our guests about how good the band was and how EVERYONE was getting into it. 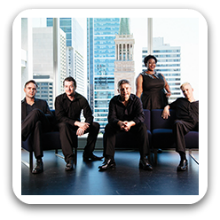 This band has an impressive and diverse repertoire, are good performers and interact well, are technically/musically excellent, have great sound, and are very professional to deal with. 10 out of 10. Book this band – you will not be disappointed. This band added such a great vibe to our wedding reception. Guests danced well into the night. Not only were they professional and experienced but they put on an entertaining and well polished show. I would recommend them to anyone wanting an incredible performance. This band exceeded all of our (high) expectations. Having played in a band for 5 years, I was very anxious to find a good live band for my wedding, and these guys did not disappoint. Their performances were wonderful, even of the two songs they learnt on request, and their mix and sound quality was pristine. They had the dance floor over capacity from the very beginning, and so many of our guests (many of them musicians themselves) told us how great the band was. They have a diverse repetoire, suitable for multiple generations, and a great energy on stage. On top of all that, they were wonderfully relaxed and accommodative in the lead up to the event and were super friendly when we met on the night. Can’t recommend them enough. The band played at our wedding and totally rocked it! We asked them to learn a few songs and they did so without any hesitation and on the night really impressed everyone at the wedding! we danced until we couldn’t anymore and our dancefloor was packed until the very end! I’ve never ever see the crowd chanting for an encore but we all did and they delivered! Everyone was commenting on how good the band was and we had newly engaged couples asking if they could use the band for their wedding too! They kept the energy up and everyone had a boogie! 5-stars you guys smashed it out of the park!!!! Thank you so much guys!!!! This is the second band I have booked through Black Tie Group and they have been very professional both times. We chose this band to perform for our National Conference in March and they were absolutely fantastic! If you are looking for a band that is the whole package – look no further! !